Regardless of Nigeria's cooperation with Wall Street, it seems the powerful US financiers are more interested in wrecking the country, than in supporting its independent economic growth, a US political analyst noted. Nigeria's independent economic development and rising oil exports are a direct threat to the US-backed Middle Eastern regimes, noted Caleb Maupin, a New York City-based political analyst and social activist, adding that at the same time an independent Nigeria is the last thing the Wall Street "overlords" want to see. 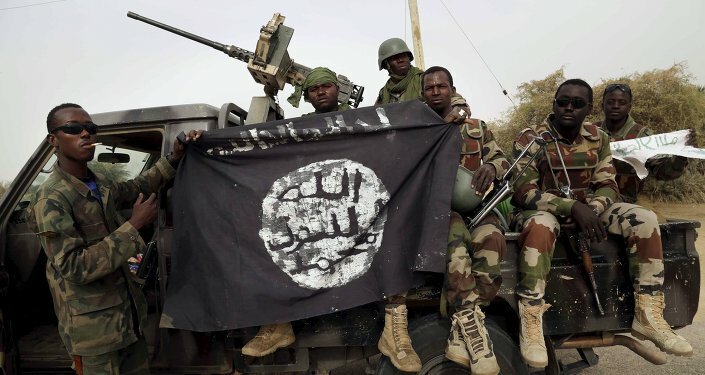 "Despite Nigeria's full cooperation with Wall Street and London, the forces of financial power are now conspiring to wreck the country with sectarian religious violence, a course of action dictated by the ruthless logic of the market," Caleb Maupin noted. The analyst pointed out that the roots of Nigeria's rapid expansion of production lie in its close collaboration with the People's Republic of China. Caleb Maupin emphasized that while US politicians like then-secretary of state Hillary Clinton hesitated to include Boko Haram into the US’ official list of foreign terrorist organizations, China had been providing Abuja with weapons to fight the Islamists. Furthermore, China has helped Nigeria to gain a greater role in the United Nations and made considerable investments in the country's domestic economy. An increase in oil exports and expansion of production prompted Nigeria to gradually alter its relations with the West. Beijing's investments obviously provided Nigeria with the potential for independent economic development, the analyst remarked. "Whether it happens or not, there is a genuine fear among the powers of western finance that the pro-Chinese and nationalistic trajectory in Nigerian politics could suddenly pick up speed," Caleb Maupin noted. Meanwhile, Nigeria's rise as an oil exporter poses a substantial challenge to the US-backed Gulf monarchies, especially Saudi Arabia. The analyst noted that the Islamic State insurgents have been long funded by Saudi private donors. 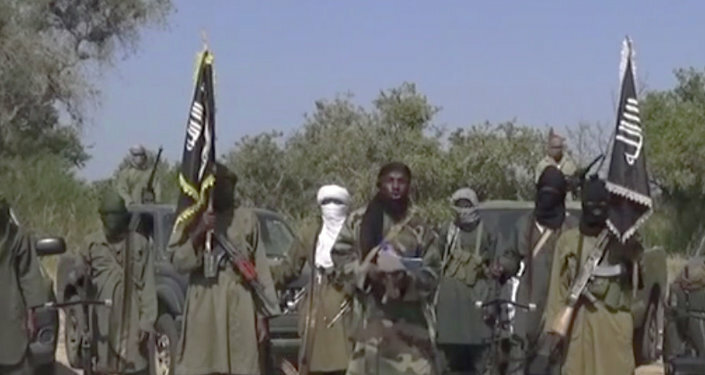 Remarkably, Boko Haram has already openly vowed its loyalty to ISIL. On the other hand, the defeat of Nigeria's leader Goodluck Jonathan in the latest presidential election has added fuel to the fire of the ongoing instability in the country, caused by Boko Haram extremist activities. Violence erupted between Christian supporters of Mr. Jonathan and the predominantly Muslim electorate of Muhammadu Buhari. The new ruler, former military dictator Muhammadu Buhari, is known for his repressive policies, extreme cuts in social spending and "close cooperation with Washington." Paradoxically, as the United States increases its military presence in Nigeria, the country is becoming more and more unstable. However, Caleb Maupin pointed to the fact that Libya, Iraq, Afghanistan and Syria have also not become "stable" and prosperous after the US meddled in their domestic affairs, but have slid into the abyss of sectarian strife. The economic development and geopolitical independence of Nigeria is at stake, the analyst warned. Wall Street’s influential financiers are not interested in the country's independent political course and closer collaboration with communist-led China.